A donation given to the right institution can help an underprivileged child in getting education, clothes or even a place to stay. It’s equally important that the donation receivers know who they are getting the donations from. 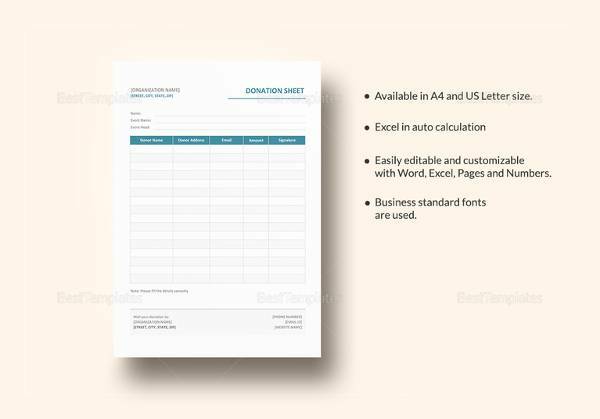 Thus start recording all relevant donation details by using our donation sheet template.Besides for recording purposes, these Donation, Raffle Sheet templates can be used for tax-reductions. These template formats come with blank spaces for signatures, and their various sample examples can be used both in a printable and in a soft copy format of Word/Excel. Start using these templates just by downloading them. This is a Word document that you can edit when you are planning to donate your hair. You fill in the blanks, including your name, email and home addresses, date it was sent and much more. 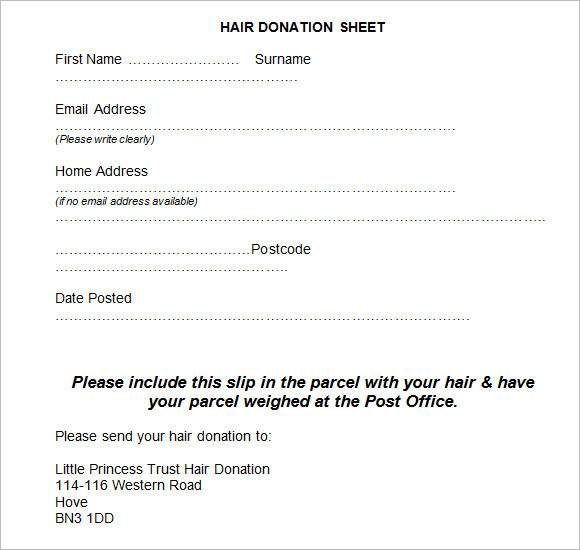 You simply need to print it out and send it to the address listed with the hair. This is an extremely simple option that you can use for offline use and you can write in the details as you go along. It has information about the event, the name of the person collecting and much more, such as the name of the donor, if they gave a check or cash, number of the check and total amount donated. This is for those who want to keep all of the information on the same page and you can write down the name of the person taking the donations and their goal. 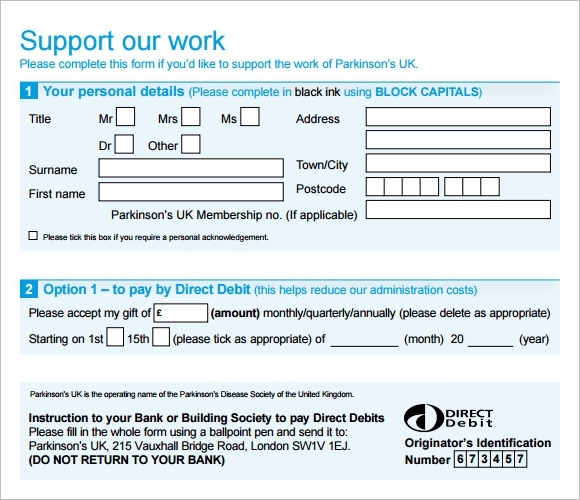 There is also a section where you can write down the donor names, address, email and the amount that they donated. 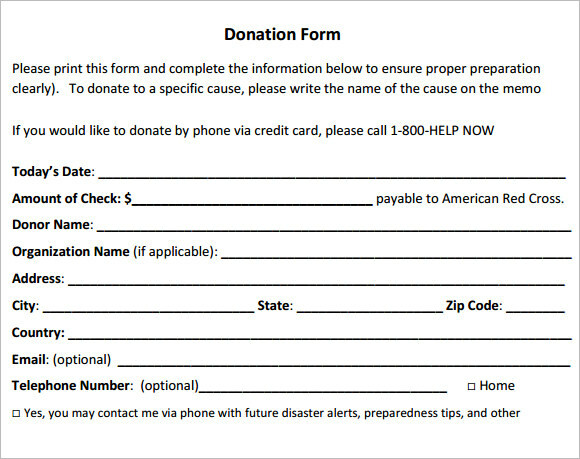 This is a great option that you can use to send out information about the donations that you are soliciting. 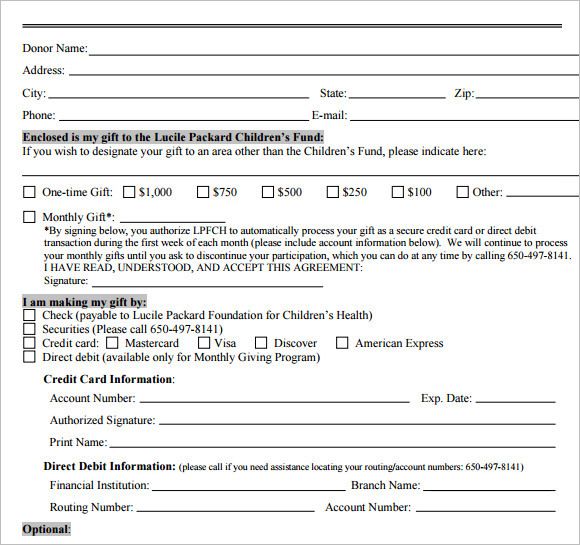 You can add spots for the date, the check amount, the name of the donor, address, telephone number and email address. There are many benefits of using these templates, including the fact that everything will be in one location. You can write down the name of the person taking the donations as well as their goal and the amount that they have collected. Not only does it make sure that all of the information is in one location, but it will make it easier when you need to show the amount of donations and account for them. It also makes it easier to create a final tally and see if the amount promised and the amount collected matches up.You can also see Doctor Sign In Sheets. 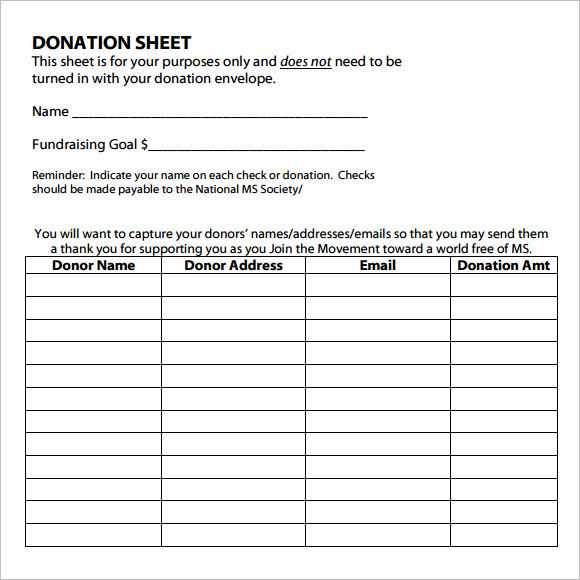 When To Use A Sample Donation Sheet? 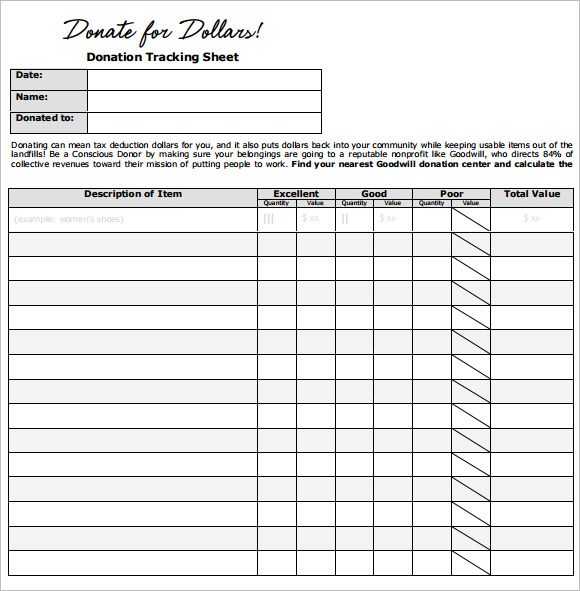 Whenever you are collecting donations, then you should make sure to keep a record of them using these templates. 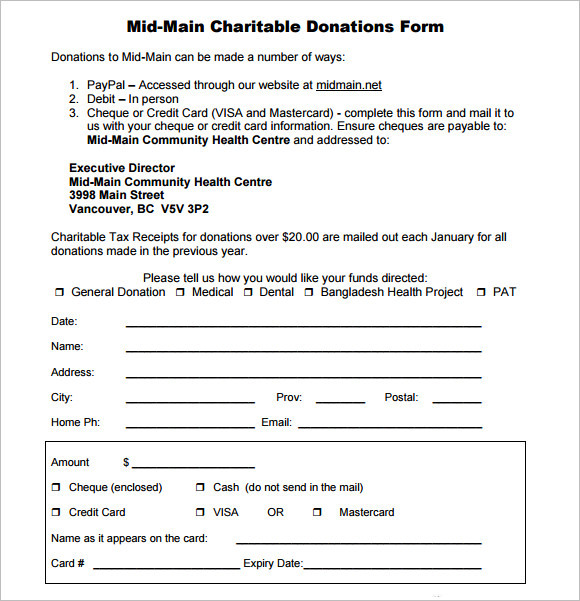 It is important that you write down every donation to ensure that nothing is missed and that you can collect on those who said they would give at a later time. This can be done for any project, including for a school one or even for a personal goal, such as a run or for donating to a crisis or project that is close to your heart. How to Create a Sample Donation Sheet? These templates are easy to create and you simply need to find the one that you like the most online. Once you have done that, then you can go ahead and download it and print it out. You can make copies if you need, especially if you have more than one person who is taking donations. You can write down all of the donation pledges that you have and those that you have already received in order to keep a tally of everything. These templates are perfect for those who are looking for donations from various people for a particular project. 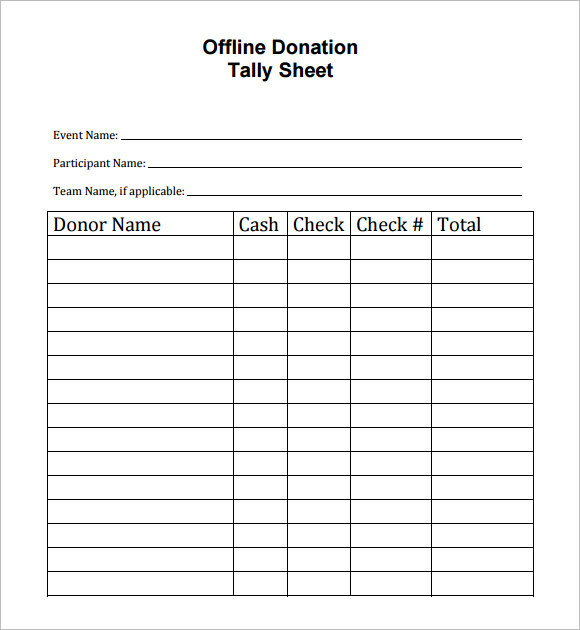 You can use these sheets to keep track of who donates and how much they donate, as well as the final tally and your goal. You can also see Sample Estimate Sheets.